Yikes! He's escaped from the Elizabeth Arkham Asylum for the Criminally Insane in the acclaimed video game Batman: Arkham Asylum! Killer Croc looks just like he does in the game, and he's still got those broken chains on his wrists. 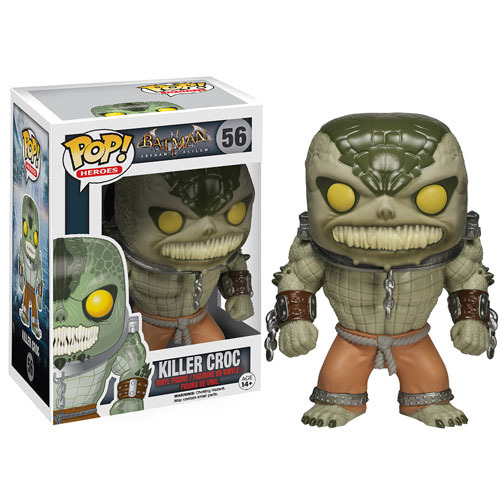 Order your 3 3/4-inch tall Batman Arkham Asylum Killer Croc Pop! Vinyl Figure… if you dare! Ages 14 and up.